I have two more posts left about distributing a self-published book. This post discusses a self-published writer selling print copies of his book to readers directly or by consignment with a book store. In this case, the writer needs to buy inventory of his book. The last post will be about distributing print copies through resellers without the writer buying inventory. As I wrote in my overview blog about distribution, when I first published The Case for Killing, I only offered it as an eBook. That seemed to me to be in the spirit of self-publishing, but it was a mistake. A self-published writer who is serious about building a readership needs print copies of his book available for sale. Print remains the format that many readers prefer. Some like paperbacks for their look and feel, and maybe their place on their bookshelves. Other readers don’t have an eBook reading device or the interest to learn the related app. For a significant number of print sales, the self-published writer will need his own inventory of books. For example, the writer needs to be prepared, at a moment’s notice, to give or sell print copies of his book to friends, neighbours, distant acquaintances…to anyone, really, showing a flicker of interest. Further, if a writer appears at library readings, book clubs or similar events, he’ll definitely want print copies of his book to sell at the end. And some writers may try to make direct print sales online (see my post on direct sales). A writer might also try to get his book stocked in bookstores. In general, this is tough going, but some independent bookstores will carry well-crafted self-published paperbacks on a consignment basis for somewhere between 20% and 40% of the retail price. For the self-published writer who wants an inventory of his book, various companies will print copies of his book and ship them to him. If the writer is willing to order a large minimum number, he can consider traditional offset printing. However, most self-pubs won’t want to take the risk of printing too many copies. Making money self-publishing is already a long-shot and having several thousand dollars of unsold inventory in the basement is just annoying. Print-on-demand (POD) has answered the need of a self-published writer to manage his inventory carefully. A writer can order the exact number of books he requires for the short term. 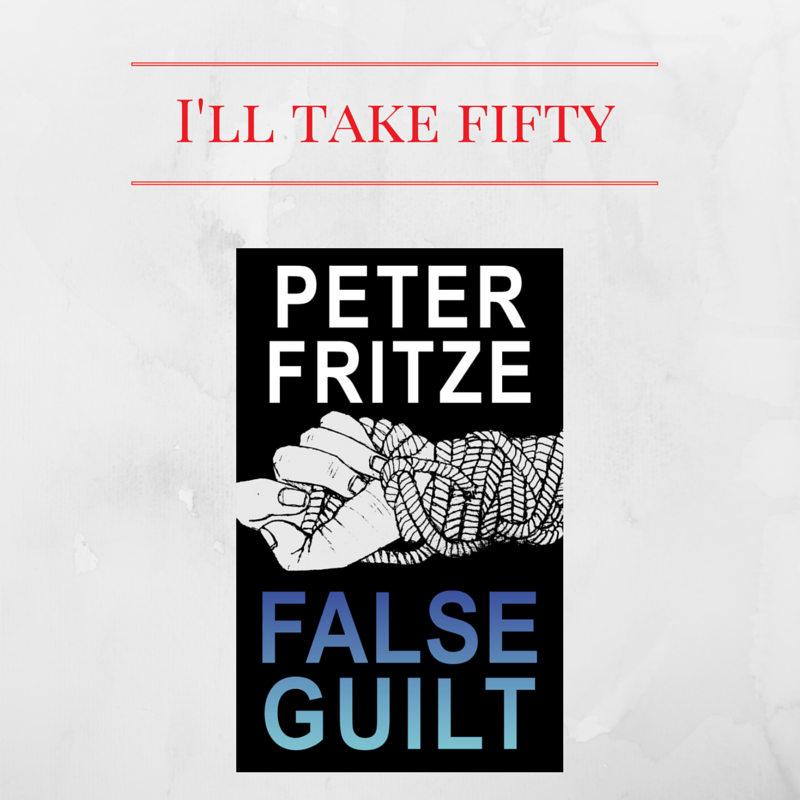 For example, for some upcoming library presentations, I’ll make sure I have fifty copies of False Guilt on hand and my experience is that I’ll sell most of them. I have used POD from IngramSpark and from CreateSpace (an Amazon company). The basic process is this. A writer gets an estimate of the total cost per book based on the number of pages in his book, the printed format and the number of books ordered. From this, the writer can set a retail price with a decent margin. The writer uploads files in the required format for the interior and cover of the book and provides ISBN and other book-related information. When the POD company has completed set-up, review procedures ensure that the print copies meet minimum industry requirements for publication and the writer’s quality expectations. If all goes well, the books will be couriered to the writer in two to three weeks. I recommend that self-pub writers speak to other self-pubs about the POD companies they’ve used and their experiences with service and quality levels. Also, there’s much more about POD and traditional offset printing in Ape: Author, Publisher, Entrepreneur – How to Publish a Book by Kawasaki and Welch, though offerings are evolving quickly. Finally, be sure to order a print copy of your book just for your writing desk. It’ll provide inspiration. Buy The Case for Killing. Follow me on Twitter @PFritze.